Killarney Homes’ strong vision to build the best in energy-efficient homes for the tropics underpins our design philosophy and defines our place in the Northern Territory market. As 2017 Australian winners, we’re proud to tell our story. We offer a range of home and land finance packages across Palmerston and the Northern Suburbs, with weekly repayments starting from as low as $396 per week. So, why keep renting when you could be paying off your own home? Ready to build your future with a beautiful, energy efficient home designed especially for the tropics? You’re in the right place. Killarney Homes offers the best in design, functionality, and value for money. We’ve been recognised Australia-wide for our holistic approach to energy efficient design. With 100+ awards, including 2017, 2015 and 2014 National GreenSmart accolades, Killarney Homes is the leader in sustainable Top End construction. The full impact of a Killarney home can only be experienced in person. We’d love to show you around our beautiful, award-winning display homes. Australia’s Best Medium Builder - We were thrilled to win the 2017 Australian HIA Housing Awards in the coveted Professional Medium Builder category, from the organisation representing 40,000 builders. 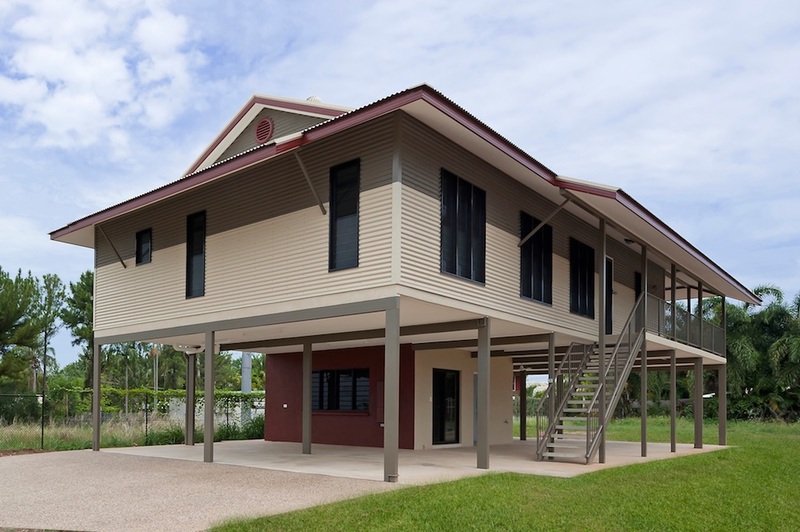 We were thrilled to win the 2014 Telstra Business Awards in the Northern Territory Medium Business category, recognition of our commitment to building high quality, energy efficient homes. This award-winning spec home, designed and built by Killarney Homes, perches on top of a beachside hill in a new housing development once occupied by Darwin’s Overseas Telecommunications Commission. With its clever use of thermal mass; airy, shaded living areas; and low-maintenance finishes, it is a perfect example of Killarney Homes’ overarching commitment to smart, sustainable design and build philosophies. We’ve built award-winning homes for first home owners, families, empty nesters, retirees, and investors. See what our clients have to say about their Killarney experience.